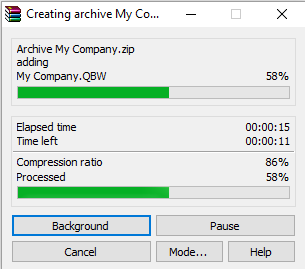 Please download & install 7-zip if you don't have any zip software installed. 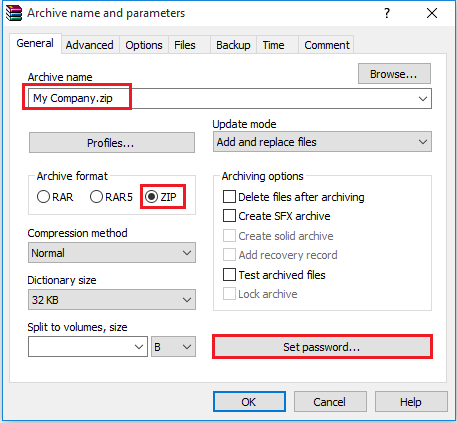 You can skip this step if you have already 7-zip/WinZip/Win RAR installed on your system. 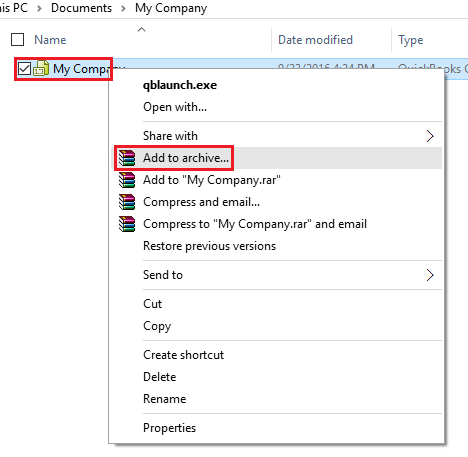 You need to navigate to your company file location where you placed it. 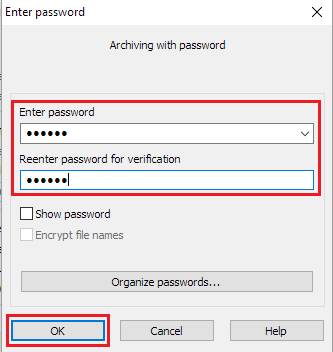 After that, you need to right-click on company file & click on 7-zip & "Add to archive.."
Select Archive format as "Zip", Enter zip file password & click "OK". You need to navigate to your company file location where you placed it. 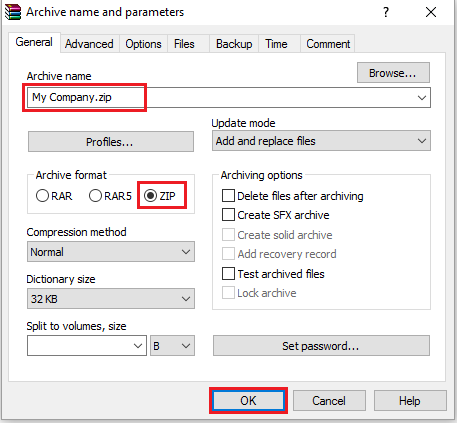 After that, you need to right-click on company file & click on "Add to archive.." select Archive format as "Zip" & click "OK". You can set the password by clicking on "Set password..."
Enter password & click "OK". 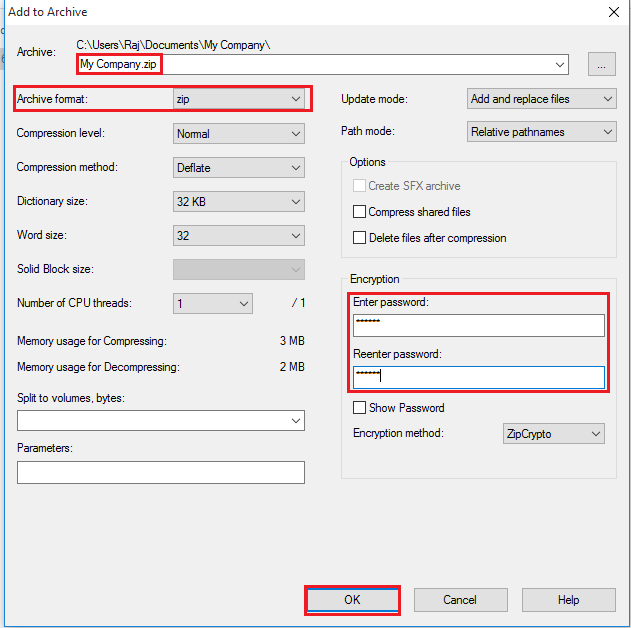 Click "OK" for creating a zip file. After zip file created navigate to http://qodbc.com/send & fill all the details and upload the file using "Attach File" button. After company file uploaded click "Complete Upload File" for completing upload. 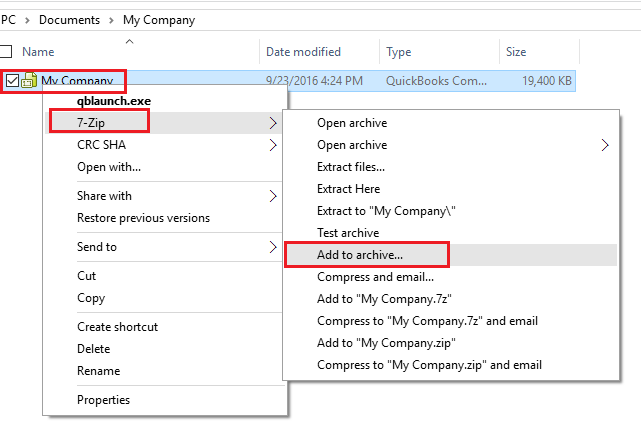 Using QODBC site you can upload company file with max 300 MB size. If your company file size is more than 300 MB, then you can upload it to the third party file sharing site.